Why not come and visit us at this years show where you will be able to see and feel the quality of our units? enquiries@pineland.co.uk we will send you FREE entry tickets! 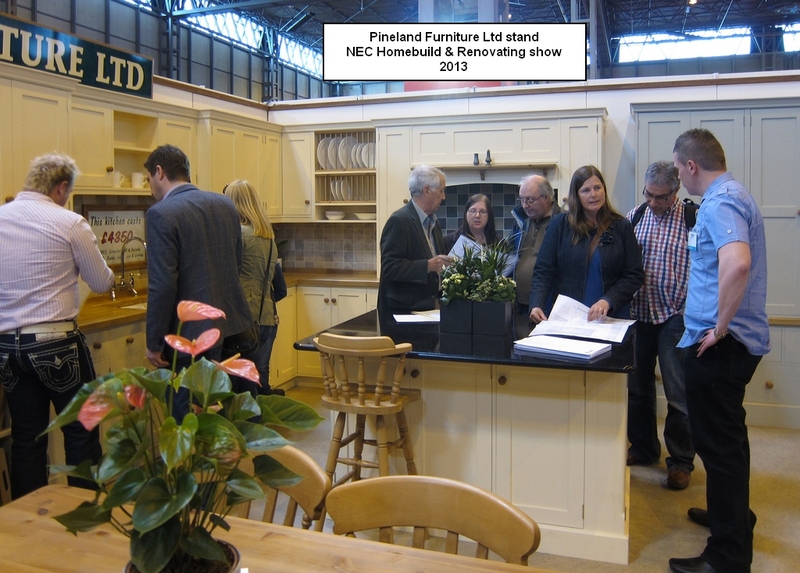 Our stand number is E119 and for this years show we will be displaying an island, two kitchens, and two freestanding house keeper’s cupboards. Please note that because this show is usually very busy we’re generally unable to sit down with you on the stand and draw up a detailed kitchen plan, however, you are most welcome to leave us with your proposed kitchen layout / architects drawings etc. We will then get fully costed plans emailed or posted to you at our earliest opportunity.